In customer service focused industries, quick and dependable outcomes are what drive consumer satisfaction. A lot of the interactions with customers in these industries – such as retail, hospitality and property management – are face-to-face, requiring a level of professionalism and knowledge to lead customers down their journey to happy and will to return to your business. This is where two way radios come in. Approximately 42% of employees are unable to help customers, whether it’s because they’re not trained to a level to answer the question, or they are unable to make a decision without management approval. But, the consumers of today do not want to wait around for that answer, or those decisions. If they can’t get instant results, customers would happily go to the next store – in fact 89 per cent of customers have left a company because of a poor experience. Customers are four times more likely to purchase from your competitor if poor customer service occurs. 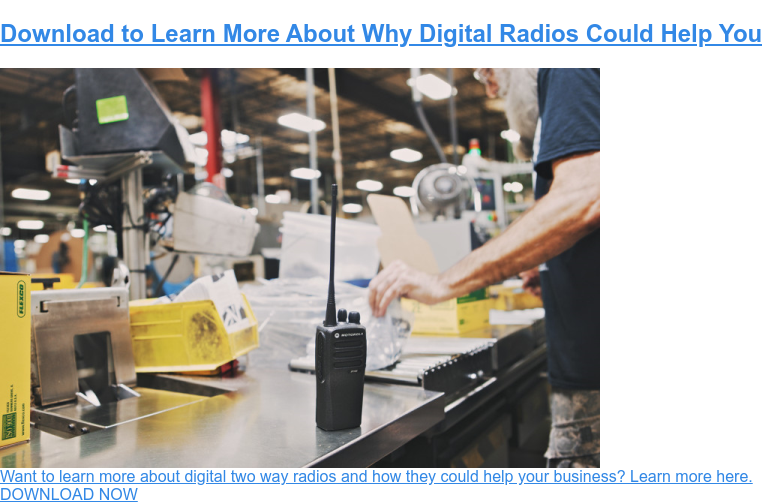 So how do two way radios help? Let’s look at a few scenarios. This employee does not know the answer and, without a two way radio would have to leave the customer behind to find a colleague to get results. By the time the associate returns, that customer could have moved on and left your store, or be frustrated with the lack of service they received. With a two way radio, however, the answers are quick. A simple push of the button means the size, or product questions are answered instantly – and the customer can move on to making a purchasing decision. Hospitality – A guest at your hotel requires fresh towels in their room. They call to your front desk asking for supplies to be sent up. Without a two way radio, it becomes a matter of tracking down a staff member in person, attempting to reach them on their phone, or leaving the front desk to complete the task. Sometimes, this takes time and only frustrates your guest. With a two way radio, results happen quickly. With the addition of accessories, you can be sure your employees carry their radio on their belt at all times, or have a headset that allows them to hear messages when they happen – allowing you to get the request out immediately, and have those fresh towels delivered promptly. This service does not go unnoticed and it’s likely that guest, with that level of service, would return to your hotel during future stays. Property Management – There’s a leak in one of your units, and you can’t be in two places at once – but you need to be talking to your plumber in the unit while dealing with the tenants affected by the issue. Enter two way radios. In the case of property management, you have clients that occupy units for a long period of time. In the instance where there is a situation, your tenants want to know they’re getting the best service possible. With two way radio communication, when an incident occurs in one of your buildings, communication doesn’t stop – and resolves happen quicker. Effective results mean long-term tenants. The message here is the more staff are better able to communicate with each other and management – no matter what level they are in your work environment – the better your customer outcomes will be. Approximately 80 per cent of associates in retail environments say better in-store communication is the key to customer satisfaction. Additionally, having employees feel like they are part of a team means positive working environments, and will generate customer success stories – meaning returning revenues for your business. 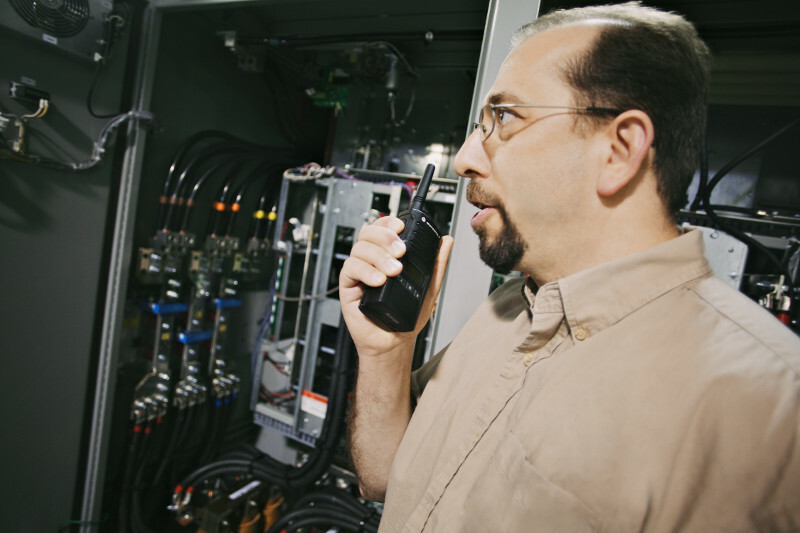 There are a number of customer-facing and customer-focused industries that would benefit from two way radios. We at Nova Communications have a team of two way radio experts that can help to determine what radios would suit your industry, and why. Contact us today for more information or start with the free Radio Selector Guide below.